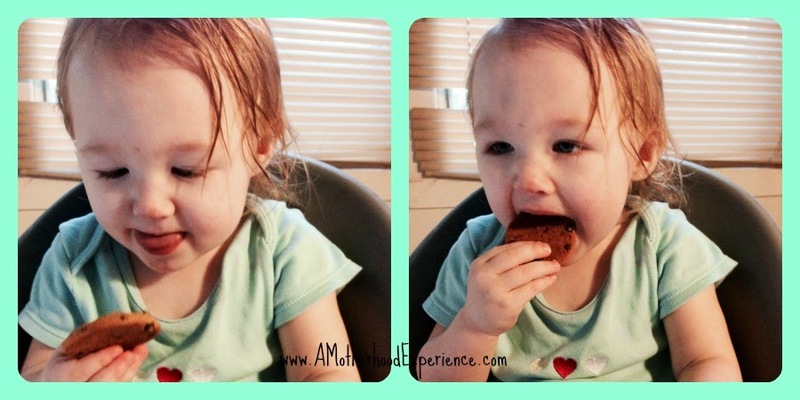 Ever wonder how to really eat a cookie? Here is a demonstration according to an adorable 18 month old! First, get really excited when you're given a cookie. They ARE awesome! Then press the cookie up against your forehead and nose. Make sure to press enough to leave marks of chocolate chips on your face! Examine the cookie, did we get enough cookie on our face? Yep! Finally, dive in for the bite! Yummy! I would recommend adding in a cold glass of milk with that cookie, just saying. Posted by AME. 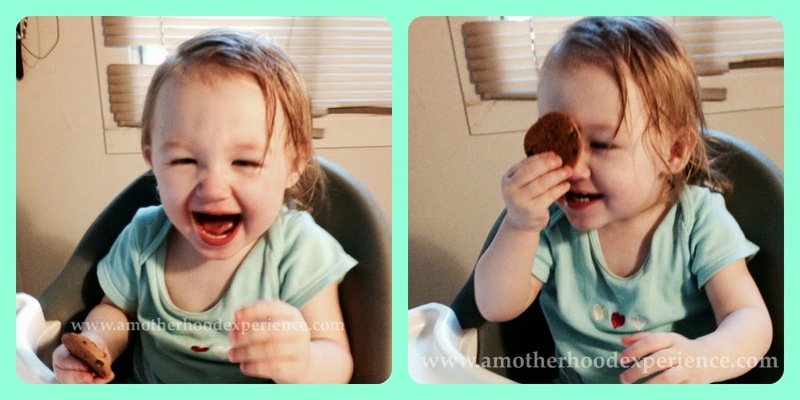 Cookie eating demonstrated by Baby M, 18 months. Opinions, comments and images are those of the author. Please excuse the blind in the background, our rather large dog got excited one day. Lol! Everything is an adventure at that age! Awe :) Such a sweetie. Haha. I love this. So sweet. LOL! This gave me a good chuckle! How adorable! She looks so proud of herself too! I so miss my kids at that age. It goes by so fast. Take it in... they'll be teens before you know it.